With the New Year, many people put together lists of goals and resolutions. Allow us to share with you some new year’s resolutions that you may find worth keeping. Whether you’re 26 and beginning a career or 62 and thinking about the best time to stop working, give some thought to what your retirement plan will be. Social Security is the largest source of income for elderly Americans today, but it was never intended to be your only source of income when you retire. You also will need savings, investments, pensions or retirement accounts to make sure you have enough money to live comfortably when you retire. The earlier you begin your financial planning, the better off you will be. 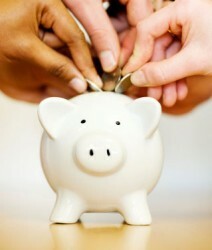 For tips to help you save, visit www.mymoney.gov. The best way to begin planning for retirement is by using the free resources provided by Social Security. Start by using our Retirement Estimator, where you can get a personalized, instant estimate of your future retirement benefits using different retirement ages and scenarios. Visit the Retirement Estimator at www.socialsecurity.gov/estimator. Make sure you have all your numbers. While tax season may seem far away, now is the time that many taxpayers start gathering records and documentation for filing tax returns. One of the most important things you need is a Social Security number for everyone whom you will claim as a dependent. If you don’t have a number for one of your dependents, you need to apply now to have the Social Security number in time to file your tax return. Learn more at www.socialsecurity.gov/ssnumber. Do a little light reading. The best way to learn more about Social Security, the benefit programs, and what they mean to you and your family is to browse through our online library of publications. You can find overviews as well as more detailed booklets. Our library at www.socialsecurity.gov/pubs is always open. Help a loved one. Sometimes we get the most satisfaction out of helping someone else. If you have a grandparent, parent, relative, or friend who could benefit from Social Security, share our website and online services with them. You can even help a loved one apply for retirement or Medicare benefits — or for Extra Help with Medicare prescription drug costs — in as little as 10 minutes. Whether you forward a publication or sit down to help someone apply for Social Security, the place to go is www.socialsecurity.gov or at Social Security’s recently expanded Spanish language site www.segurosocial.gov.